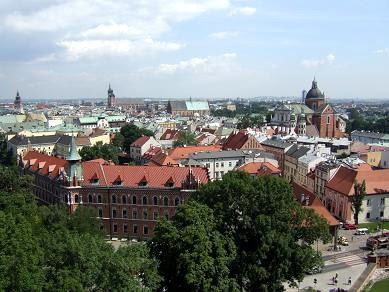 Krakow is situated in the south of Poland, on the banks of the Vistula River. 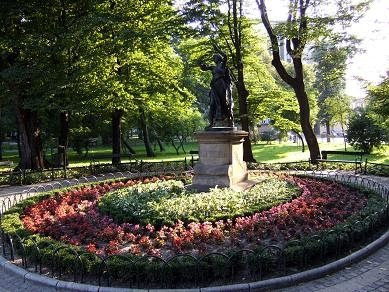 It is one of the largest and oldest cities in Poland and is the capital of Malopolska. 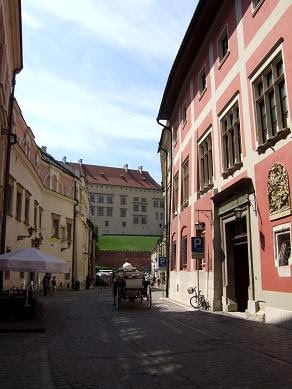 The Kanonicza street, close to Wavel. View on the city from the Zygmunt Bell Tower in Wavel Cathedral. 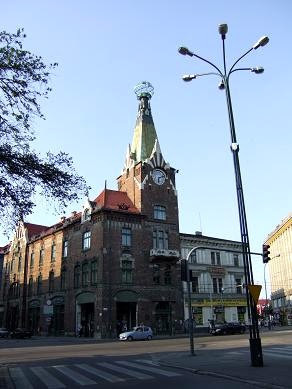 Building close to the park. View on the Barbican of Krakow and the street. From this window over the entrance gate Pope John Paul II talked to the thousands of people waiting to see him and to receive his blessing. 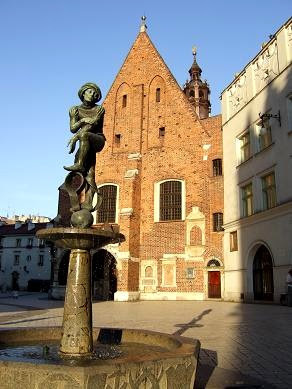 Statue on the main market square, next to the Belfry. 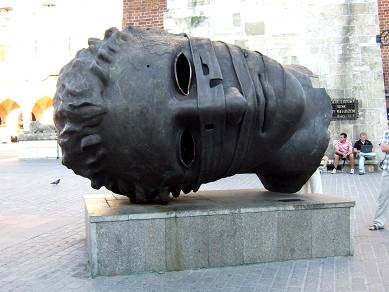 The Grunwald Monument, close to the Barbican. 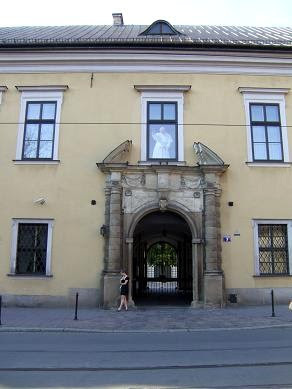 House in Konanicza street where Pope John Paul II lived from 1951-1963, now an Archdiocese Museum. 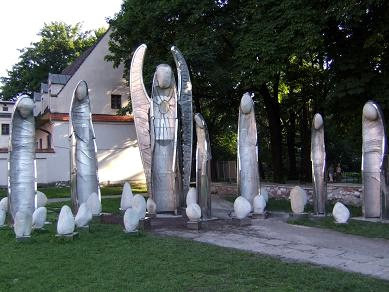 Angels Underneath the Window, a statue representing the 7 sacraments. Statue of student next to the St. Mary's Basilica. 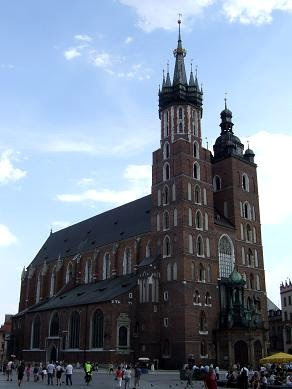 The St. Mary's Basilica is one of the most important churches of Krakow. It was built in 1287-1320 in Gothic style. 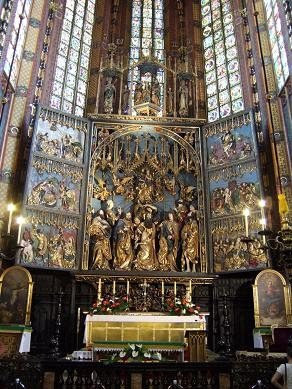 The Basilica is famous for it's altar piece, the largest wooden Gothic altar in Europe(3rd photo). It represent the Virgin Mary asleep and on the right and left six scenes from the life of Mary. Every hour a trumpet signal is played from the highest of the two towers. 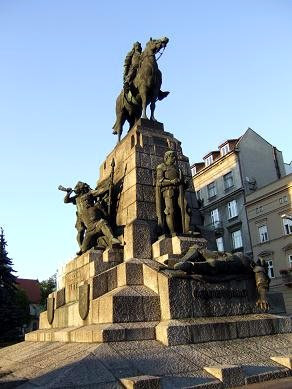 This is in remembrance of the guard struck by an arrow when warning the people of Krakow for the approaching enemy. 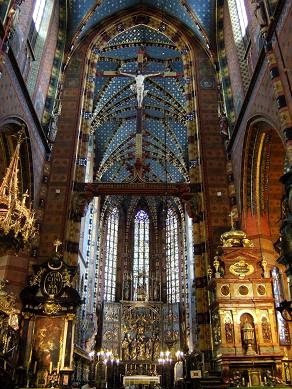 This beautiful Basilica you can find on the main market square at the end of Florianska Street. 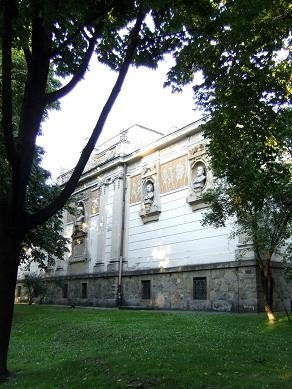 The Juliusz Slowacki Theatre, named after a Polish poet, stands at the Holy Spirit Square in Krakow. 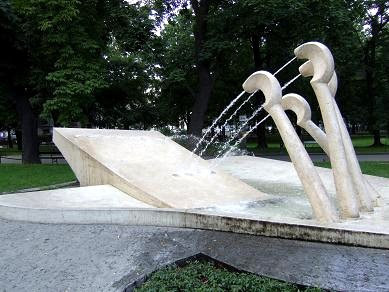 It was designed by Jan Zawiejski in Eclectic style and modelled after the Charles Garnier Opera in Paris. 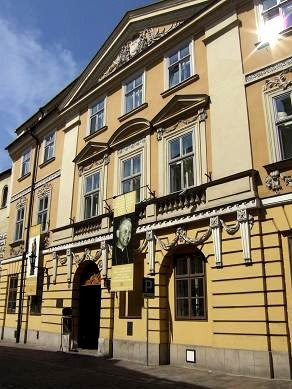 The theatre opened in October 1893, it was the first building in Krakow equipped with electric light. 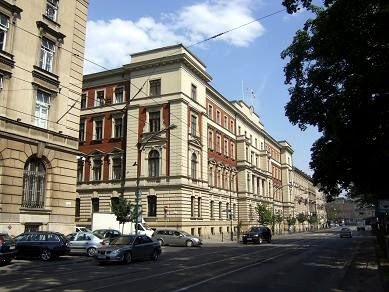 Besides theatrical productions, the Juliusz Slowacki Theatre host also events, concerts and international conferences. 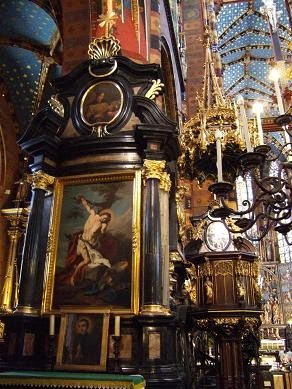 View location in Krakow, Poland. 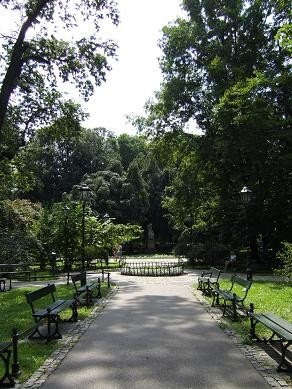 Planty is a huge park surrounding the old town. 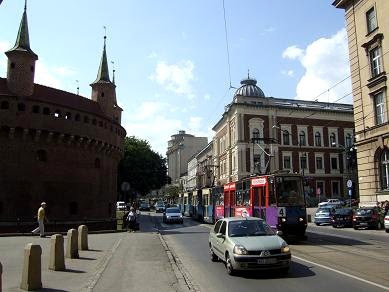 It was created in 1882 and replaced the defense walls and the moat. It's a great place to have a walk in the evening and have a look at some of the beautiful buildings around the park.